Is it too early to start talking about Christmas?? Probably. But here goes...! We got a bit carried away recently and created our Christmas pop-up Quirky Bar, and we can't wait any longer to share it with you! 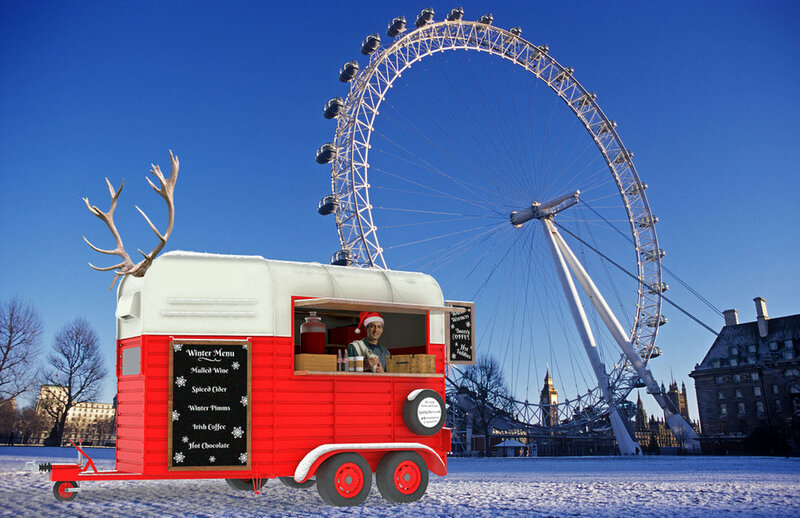 True to our love of horse trailers, we'll be galloping around London in this festive beauty, complete with Reindeer antlers and of course, delicious drinks! As well as the classic mulled wine, we'll be offering Quirky alternatives, from hot toddies to spiced Winter Pimms, plus boozy coffees and hot chocolates to keep the chill out. So if you're looking for something extra special for the run up to Christmas, get in touch to hire a Quirky Bar, for the perfect festive event.